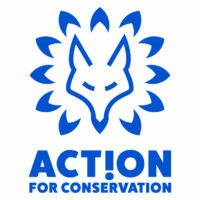 Action for Conservation (AFC) is an environmental education charity working with young people from across the UK to inspire the next generation of conservationists. They are looking for young, passionate environmentalists to join their dynamic team of volunteer WildED workshop leaders in Manchester and Liverpool from the end of April for the summer term. If you are studying conservation, working in the sector, a youth worker or an enthusiastic campaigner this could be a great opportunity for you. The WildED programme supports students in delivering local environmental projects that have a positive impact on wildlife and increase their connection to nature. Volunteers help facilitate workshops and share their experiences of working/studying in the conservation sector, showing students what ‘real’ conservationists look like. Workshops are fun, rewarding and a fantastic opportunity to showcase your experience, university or organisation and work with amazing young people! Full training will be provided, in Manchester on Wednesday 17th April and in Liverpool on Tuesday 30th April. If you are interested please email info@actionforconservation.org with a short bio about yourself and any previous facilitation/conservation experience.